Our full service law firm is built on relationships. Serving Chapin and the surrounding areas. Welcome to Harrell, Martin & Peace, P.A. Our law firm was founded in 1995 by L.K. "Trey" Harrell, III. 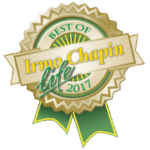 Our small firm has grown steadily over the years, with the support of our Chapin community and the surrounding areas. In January of 2017, we combined with attorneys from Tyler, Jackson, Peace and Silver, LLC to better serve the community by adding more, complimentary practice areas. We will continue to provide attention to detail while serving our clients statewide. Our staff is courteous, responsive, efficient, and professional, and are here to serve you. Our experience allows us to serve your legal needs in a cost efficient and timely manner. Our business is built on relationships. We value and respect you as a client and look forward to earning your business. The staff at HMP handled the closing on my first home purchase. Lisa was extremely helpful with everything leading up to closing and Jeremy made sure I understood everything before I signed it. Highly recommend! I have had the honor of dealing with a couple of the attorneys through the closing of homes, vehicle accident and other personal matter guidance and so far haven’t had anything but Wonderful things to say about these attorneys and extremely helpful office staff…overall wonderful experiences. Everyone in this office has heart, integrity, and genuine interest and care for clients and employees alike.